As reported yesterday, Google has started rolling out the Android 7.0 Nougat update for its range of Nexus smartphones and tablets. This is a feature-rich update, best explained by Google in its own official website, terming the newest version as “our sweetest release yet”. Multi-window support to run two apps side by side, improved notifications pane with inline replies, tweaks to doze mode for extended battery life, improved data saver to restrict background data and much more – all these awesome features are part of Android 7.0 Nougat. The OTA update is being rolled out to Nexus smartphones and includes added support for Vulcan graphics API, dedicated VR mode and Emoji Unicode 9, among others. Head to Android Beta program page from your Nexus phone. Sign in. Scroll down to select eligible device. Tap on “Enroll device” option. After you restart, you should get the update notification on your smartphones. If you don’t get the notification automatically, you can manually check by heading to Settings -> About Phone -> System Update -> Check Now. If the update is available, download and install. The update is a 1.1GB file and may vary from one Nexus Device to another. We suggest downloading the file over Wi-Fi connection and ensure that your battery is charged to more than 80%. If you are already part of Android N Developer Preview, the OTA will be around 60MB in size. The rollout is expected to happen gradually and Samsung, HTC, LG, Xiaomi will also rollout updates eventually. Since the OEMs add some customization to the stock android version, the official update for these devices may be delayed by some time. Only the flagship Samsung phones like the Galaxy S7 family and Note 7 are likely to get the update. Moto G4, Moto G4 Plus, Moto Z and Moto Z Force are also expected to get the update. 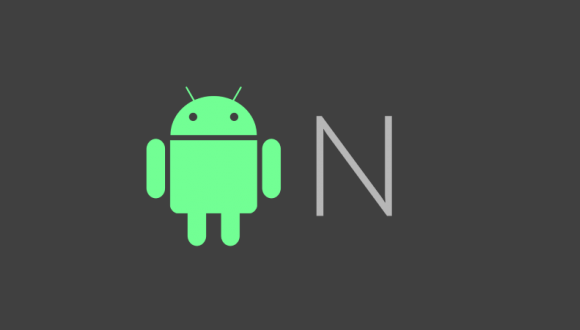 Since the official rollout for Nexus phones has already begun, soon all latest mobile phones running Android M will begin to get the update. Meanwhile, we just have to wait for official announcement from OEMs like Samsung and HTC regarding OTA rollout for the respective devices.